2019 General Elections: INEC, NWTF Urge Gender Focused CSOs on Massive Participation. .:NWTF:. 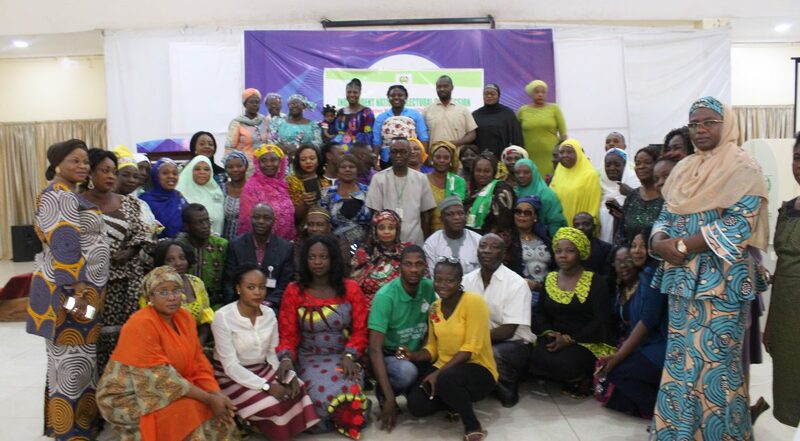 To further increase the participation of women as electorate in the democratic process, the Independent National Electoral Commission (INEC) in collaboration with the Nigerian Women Trust Fund (NWTF) organized a “Zonal Implementation Meeting on Gender and the 2019 General Elections” with gender focused Civil Society Organizations (CSOs) from North Central states in Nigeria. This event held on the 7 February 2019 at the Reverton Hotel, Lokoja, Kogi State was carried out within the purview to situate CSO interventions within the context of facilitating enhanced participation of women and an intensified voter education around election day procedure and offences. During the event’s opening remarks, Prof. James I. Apam, Resident Electoral Commissioner, INEC, Kogi State, represented by the Administrative Secretary Alhaji Muhammed Abubakar Sadiq, affirmed that the Independent National Electoral Commission (INEC) recognizes that CSOs as key stakeholders have played significant roles in the progress recorded in the electoral process in Nigeria. In his words, the support from CSOs has strengthened the Commission’s non-partisan status and reinforced the resolve to create a level playing field for all political parties and contestants in the political process. Prof. Apam concluded by stating that it is in recognition of the enormous contributions of CSO in deepening the election process and in expectations of greater collaborations towards 2019 General Elections that the meeting was organized. In his welcome remarks, Alhaji Mohammed Abubakar Sadiq, Administrative Secretary, INEC, Kogi State, represented by the Head of Voter Education and Publicity, Alhaji Ahmed Bagudu Biambo, acknowledged that Civil Society Organizations’ efforts in advocating and mobilizing citizen participation, as well as observe and report elections incidences that bring about improvement in the entire processes. Furthermore, he reemphasized that the active participation of Civil Society Organizations (CSOs) has been noted as a very significant element in deepening and consolidating democracy across the globe, particularly in expanding inclusiveness in the electoral process and the conduct of free, fair and credible elections. He urged women to fully participate in 2019 general elections in order to ameliorate existing concerns over the low participation of women in the electoral process in the country. In setting the objectives of the meeting, the Gender Desk Officer, INEC, Kogi, Mrs. Sharon Ojo Musa gave a brief antecedence of the Commission’s engagements with CSOs in different zones. She noted that the meeting is taking place to put CSOs interventions within the context that facilitates effective outing for women at the polls. “We shall concentrate on Election Day as well as post-election activities and ensure that women’s participation in the election is well supported. In effect, gender focused CSOs are encouraged to continue voter education and mobilization of women across the zone” she stated. 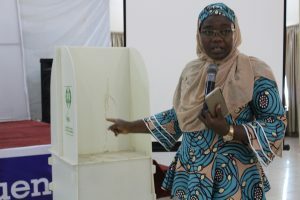 In revealing INEC’s preparations towards the 2019 General Elections, the Head of VEP, INEC, Kogi State – Alhaji Ahmed Bagudu Biambo disclosed that the zonal meeting was to sensitize women on the need to fully participate in the forthcoming election and the preparedness of INEC towards ensuring a free, fair and credible election. He revealed that INEC is also sensitize towards taken the issues of gender into consideration regarding the general elections. He enjoined participating CSOs to further support election management by sensitizing electorates, especially women on electoral procedures. Goodwill messages were also recorded from Representatives from the Ministry of Women Affairs, National Orientation Agency and National Council of Women Societies.